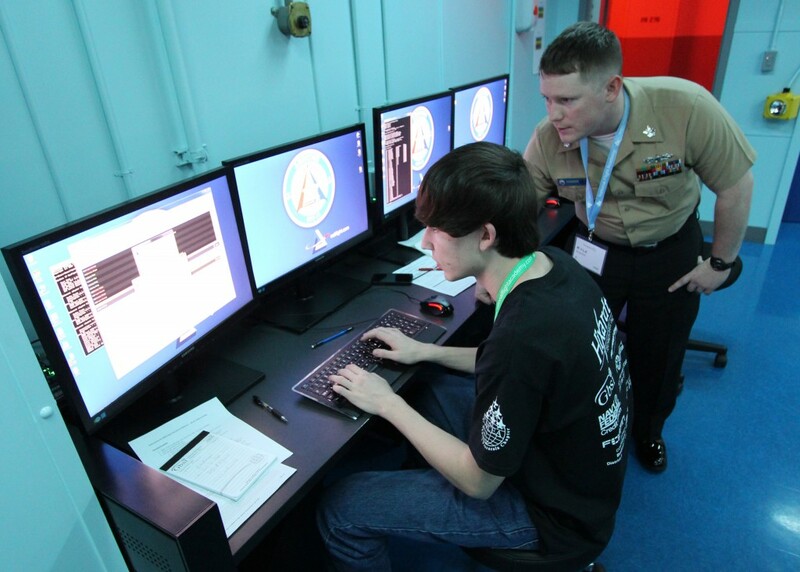 Fully dedicating a Service’s resources to the cyberspace domain, with a particular emphasis on cyberspace operations as a global strike capability. Leveraging existing support and relationships with its sister Service in order to maintain existing USAF capabilities and control costs. In addition, the Departments of the Army and Navy would cede some cyberspace responsibilities and associated funding to USCC, offsetting some costs. 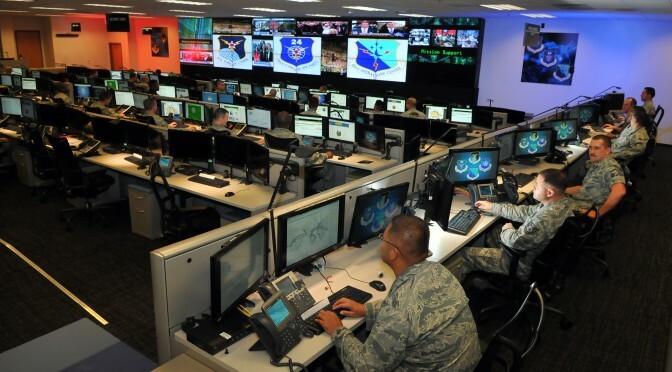 Providing a principal Defense Department entity for cyberspace operations to execute and coordinate at the same level as the other Services, particularly with regard to POTUS/SECDEF tasking as well as Defense Support to Civil Authorities (DSCA). Developing the roles, responsibilities, and authorities required for cyberspace operations, particularly offensive cyberspace operations, in the manner today’s Services do for the other domains. Creating a new paradigm for accessing, training, educating, retaining, and advancing the talent pool for cyberspace operations. Capturing talent across the age spectrum by attracting and inducting experienced personnel, not just the 18-25 year old cohort, into the service. Opening the aperture to include professionals who do not match the typical profile for recruits or officer candidates, including those who may not be world-wide deployable – since USCC would not deploy as other Services do. Allowing US Air Force Academy graduates to select USAF or USCC as a service assignment and incorporating cyberspace in the Air University curriculum. Inducting cyberspace/information professionals who have specialized and excelled in those areas within their own Service (inter-service transfers). Growing true cyberspace professionals who compete for advancement, and thus leadership positions, on a level playing field with peers whose main focus is also the cyberspace domain. As an alternative to establishing the US Cyber Corps, US Cyber Command (USCYBERCOM) could become more like US Special Operations Command (USSOCOM), employing SOCOM’s unique model of Title X responsibilities and authorities mixed with service-supported personnel and acquisition systems. Like SOCOM, CYBERCOM would exercise worldwide responsibilities, plan and execute its special mission sets in coordination with geographic Combatant Commands, and maintain strong roots in each of the Services. However, this enabling option would miss the key opportunity presented in the US Cyber Corps proposal; namely, recruiting, educating, training, and retaining skilled personnel outside the traditional military accession and promotion systems. A principal argument against US Cyber Corps is that today’s fiscal environment cannot support additional costs in terms of “bureaucracy.” However, some savings and efficiencies can be certainly be realized by other services divesting some cyberspace responsibilities. Additionally, USCC would need far fewer bases, much less equipment and logistics support, and fewer personnel that its sister services. Training, education, personnel support, and infrastructure can be shared with other services, with much of the support coming from within the Department of the Air Force. Returning to the historical analogy, the political and fiscal circumstances following World War II also presented a less than ideal time to create a new Armed Service. However, with opportunities and threats in the air domain, the National Security Act of 1947 created the US Air Force – a controversial step at the time that seems inevitable in retrospect. Today’s fiscal circumstances and operational threats echo those post-World War II concerns. Perhaps in 50 years the choice to dedicate a service to the cyberspace domain will also appear to have been self-evident. In conclusion, despite the importance of cyberspace operations as an operational enabler within and across the other domains, each service correctly focuses its acquisition and professional development efforts on winning the fight in its principal domain. A critical first step towards fully exploiting the potential of cyberspace operations is creating the foundation for a Service to “own” cyberspace as a warfighting domain. The formation of USCC would provide a unique approach, especially with respect to developing a professional cyberwarfare community, to enable the global, continuous reach of cyberspace operations. Captain Donegan is a career surface warfare officer. A native of Hagerstown, MD, he graduated with merit from the United States Naval Academy in 1992 with a Bachelor of Science in History. He is also a graduate of both the American Military University with a Master of Arts in Military Studies (Naval Warfare) and the Naval War College. The views above are the author’s and do not represent those of the US Navy or the US Department of Defense. “Incoming: A Handful of Heretical Thoughts,” Adm. James Stavridis, USN (Ret. ), Signal Magazine, 01 Dec 2015. Delineation of offensive and defensive cyberspace operations is a fuller topic. This article focuses on the need to establish the foundations for offensive cyberspace operations by creating USCC. Each Service retains responsibilities for cyberspace defense of its systems and platforms (analogous to force protection requirements). this is not the worst idea I’ve heard in my lifetime. however, it is a top 5. USAF shouldn’t even be its own Service (it didn’t actually consolidate air ops into a single Service, & didn’t answer other Services needs, forcing them to recreate their own air forces), so why create a similar joke for cyber? ?